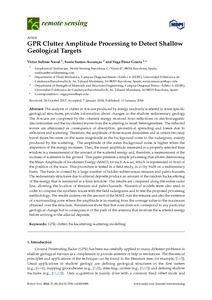 Salinas, V., Santos, S., Perez-Gracia, V. GPR clutter amplitude processing to detect shallow geological targets. "Remote sensing", 1 Gener 2018, vol. 10, núm. 1.